Globe Trott Inns is located in multi-cultural east London 30 minutes away from the city centre. We are a budget backpackers suitable for the laid back non fussy traveller. A fun and social environment, we are perfect for solo travellers, happy couples and small groups. Many of our guests extend their stay with us or come back to visit again and again. Don’t be fooled by other hostels with a similar price who then charge you for slow internet, high prices for towels, padlocks, printing, breakfast etc. 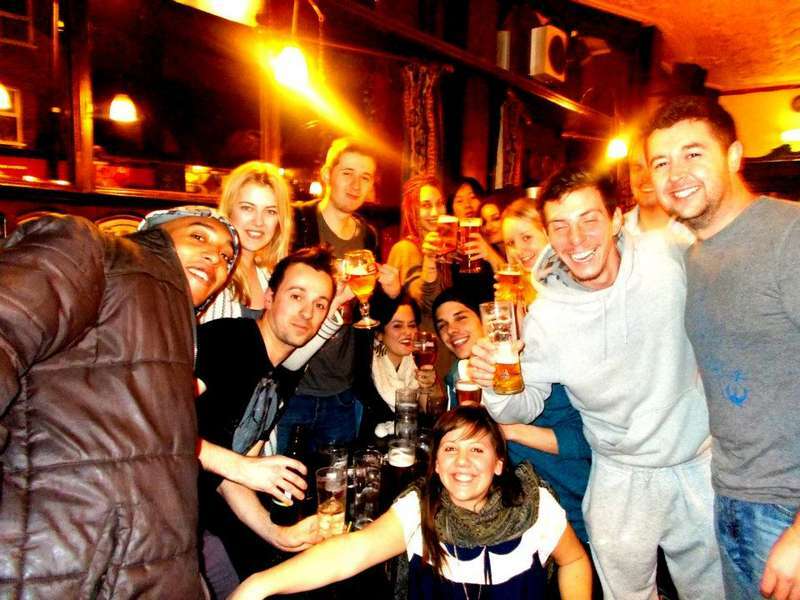 We are the best valued hostel in London by far. We are proud of our hostel and keeping the place clean and our facilities are cleaned three times a day. Legends Lounge; its part lounge, part kitchen, part grotto and it’s the heart and soul of the hostel. It’s where many a couple have met and even more friendships began. It’s where we have our “Guest Appreciation Nights” and where you will find staff having fun, music, poker nights, movies, sports, it’s got everything you need to have a good time in the smallest possible space ! That’s right people; the hostel is located above east London’s infamous bar The Boleyn. Never heard of it? Look it up. Great staff, great prices and a little bit of anarchy in the air for good measure. Join the locals and get hammered during the day and enjoy the entertainment at night including live music, pool competitions and quiz nights. 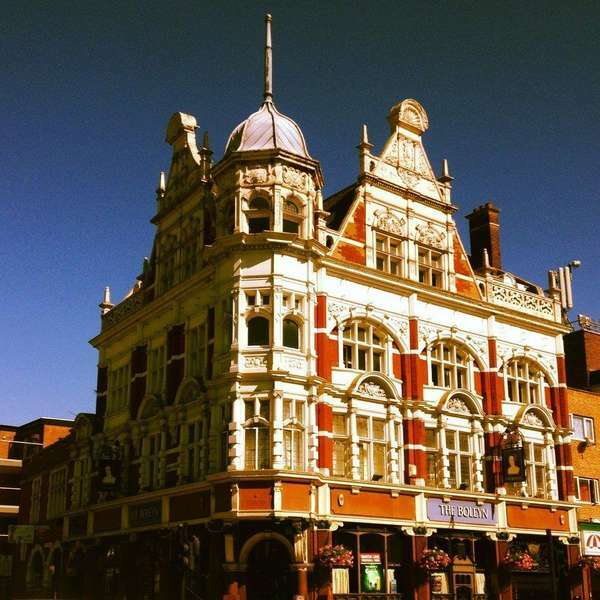 The hostel is located on the 2nd floor of the Boleyn Tavern Bar on the corner of Barking Road and Green Street. OUR ENTRANCE IS A BLACK DOOR ON GREEN STREET AND ALMOST HIDDEN. Sorry to shout but some guests find us hard to find. Guests can only cancel their reservation through email 48 hours before day of check in. Bookings cancelled within 48 will be charged the full amount of your booking, excluding any deposits paid. We are a youth hostel and we reserve the right to refuse admission at our discretion. Reception Hours are 08.00 in the morning to 00.00, you can only check in outside of these hours by making prior arrangements. We will charge your credit/debit card for the full amount for all bookings made within 48 hours of arrival. We reserve the right to charge your credit/debit card in full before arrival for all other bookings. If we cannot take payment your reservation may be cancelled. Due to alcohol licensing laws we do not accept anyone under the age of 18. You will need to produce a passport or equivalent travel document to check in. We do not accept any other type of ID. Failure to produce a valid ID will result in your booking being cancelled and charged the full amount of your booking, excluding any deposits paid. Guests can only cancel their reservation through email 48 hours before day of check in. Changes to bookings can only be made through email 48 hours before day of check in. No Shows will be cancelled and charged the full amount of your booking, excluding any deposits paid.